The 2015 Evening of Excellence reception took place on April 17 during a three-day event for the National Association of the Remodeling Industry (NARI), which also included its Spring Business Meeting, held at the Hyatt Regency Pier Sixty-Six in Ft. Lauderdale, FL. Thirty-six national CotY winners were named at this year’s ceremony. Preliminary judging took place online in January, after which 160 regional winners were announced. These regional winners advanced as finalists at the national level. The list of National CotY Award Winners for 2015, including National Achievement Award winners, is available here. In addition, the projects entered were completed between December 1, 2012 and November 30, 2014, and were not submitted in prior NARI National contests. An impartial panel of industry experts selected winners based on each entrant’s submission, which include “before and after” photography and project descriptions. Judging focused on problem solving, functionality, aesthetics, craftsmanship, innovation, degree of difficulty, and entry presentation. 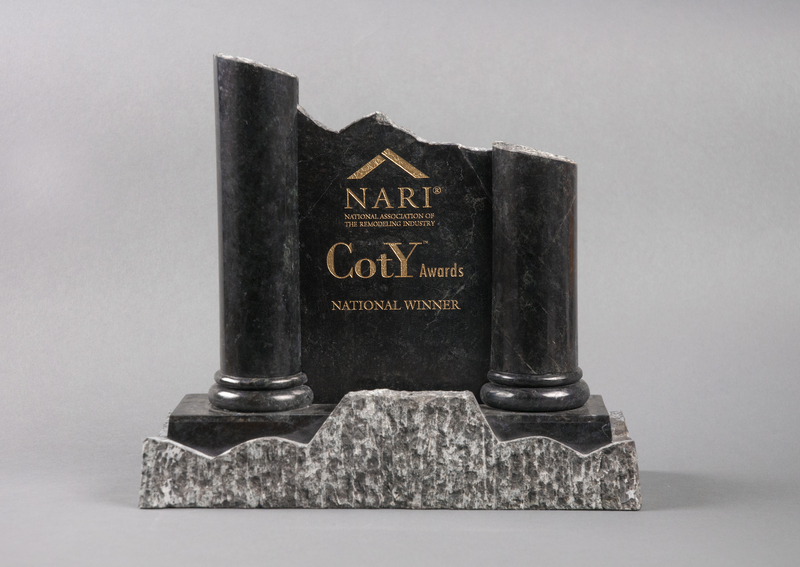 To be considered for a CotY Award, a company must be a NARI member in good standing. The entries of this year’s competition totaled more than $85.5 million worth of remodeling projects. NARI members represent an elite group of the approximately 800,000 companies and individuals in the U.S. identifying themselves as remodelers. The 2015 Evening of Excellence sponsors included Fiat Chrysler Automobile Group LLC, The Home Depot, and Pella Windows and Doors. NARI also brought the Evening of Excellence to the remodeling industry via an online webcast announcement that was also broadcast to those who were in attendance in person at the reception. The Webcast will be available for 30 days on NARI’s YouTube channel. For further information, contact NARI at www.nari.org.